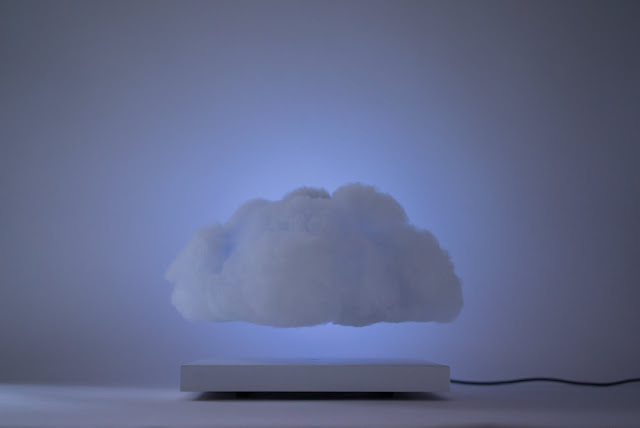 Floating Cloud - A magnetically levitating ambient lamp. 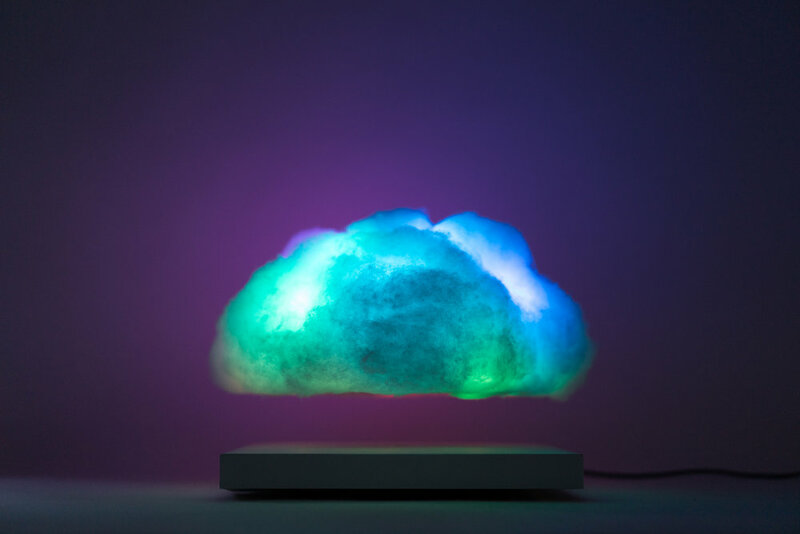 Embedded into both the base and the Cloud are magnetic components that allow the cloud to float approximately 2.75 inches (70mm) off the base. While the base itself must remain plugged in a rechargeable lithium ion battery powers the Cloud and enables a totally wireless and unobstructed levitation while in use. With full rotational movement and slight vertical bobbing of the cloud a more realistic atmospheric experience is possible. The Floating Cloud also has the same sound reactive LED lights as our other interactive cloud products.